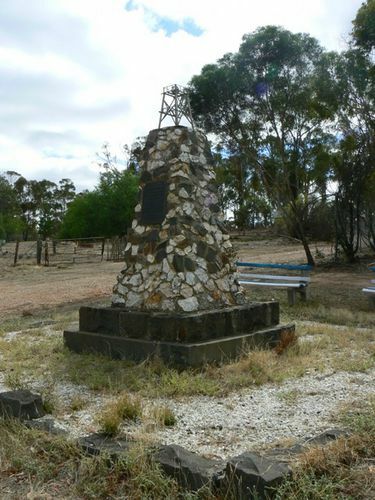 Memorial denotes the site of the gold reef which initiated the Poverty Mine. The main strike occurred in 1862 at Poverty Reef which was allegedly the richest pocket of reef gold ever recorded, yielding 13.5 tonnes of precious metal in 13 months from an area 3 metres wide and 120 metres deep. It was named by one of its discoverers who was wrecked at Poverty Bay in New Zealand and rescued by a Maori woman whom he married (both are buried in the local cemetery). 12 1/2 Tons Or 324,000 Oz.